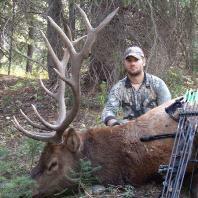 Idaho State Bowhunters is Idaho’s official bowhunting organization. ISB fights legislation that threatens our great heritage at every angle. By gaining membership and growing our numbers we are able to ensure that not only our generation is able to enjoy what has been passed to us, but also so that future generations are handed down what our forefathers have preserved! The Idaho State Bowhunters, Inc. (ISB) is a non-profit organization of sportsmen and women, and affiliated bowhunting clubs dedicated to protect and improve Idaho’s wildlife heritage of bowhunting for present and future generations. 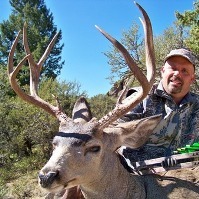 ISB provides an organization where Idaho’s Bowhunters and bowhunting clubs can come together to seek consensus on issues important to bowhunting. The ISB provides education to the Idaho sportsmen’s organizations, legislative bodies and other governmental entities on bowhunting issues. Each year ISB holds its annual Jamboree in the heart of the Sawtooths… Stanley, Idaho. The Jamboree serves as our main membership drive and without the help of companies like yours our organization would suffer greatly. We are asking those who share common interests with all our members for donations that would preserve and enhance hunting opportunities for not only Idaho residents, but all who would like to enjoy what lies within our borders. What have you to gain? By donating to the Idaho State Bowhunters you will be listed as a sponsor on our new and improved website. Also your company will be listed on a sponsor board at the Idaho State Jamboree. The 2018 Jamboree will be held July 20th through July 22nd , 2018. Time is drawing near and if you cannot donate in time for this year’s Jamboree, your donations will be applied to 2019! Idaho State Bowhunters would be happy if you displayed that you are a donor to the ISB on your website and would be happy to provide a logo if you are interested. Together as one we can fight those who are against us. If you are interested in donating to the Idaho State Bowhunters, please email the State President Tad Sherman at isbpres@hotmail.com. Thank you for your time and may we all have a prosperous 2018!